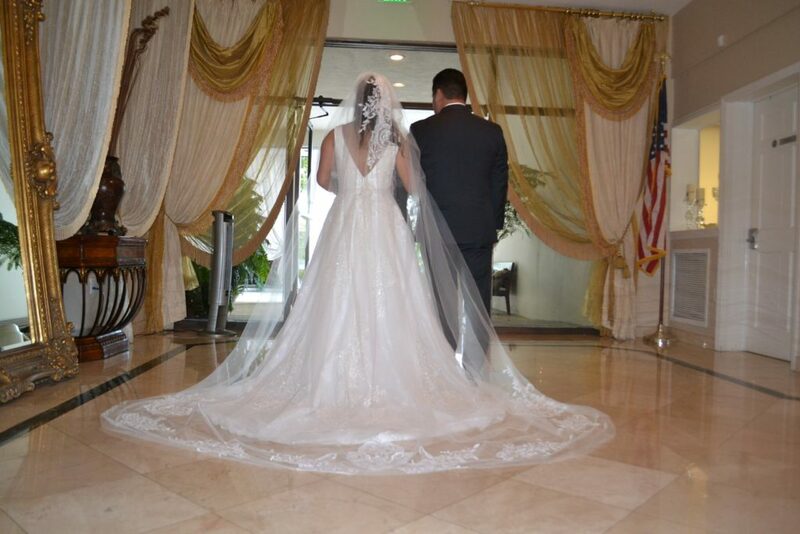 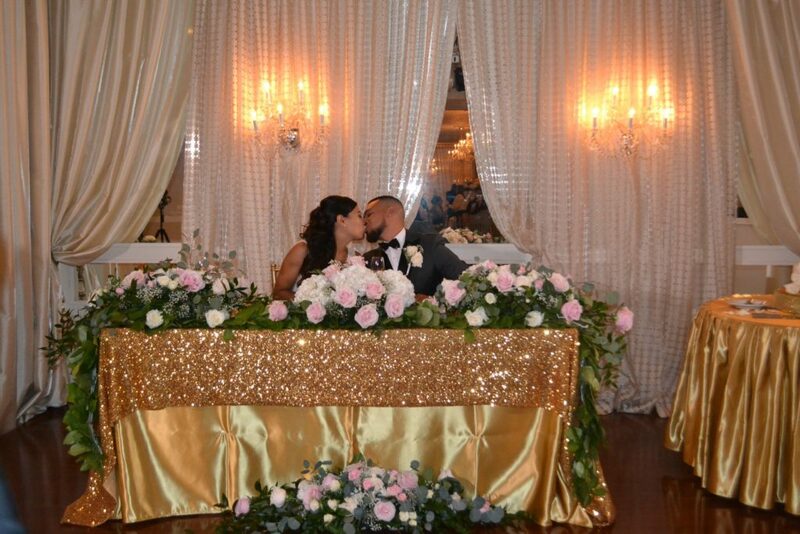 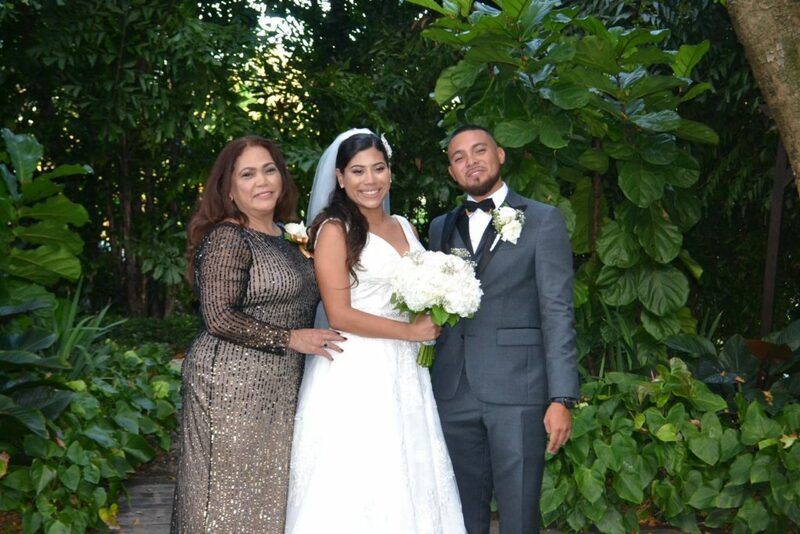 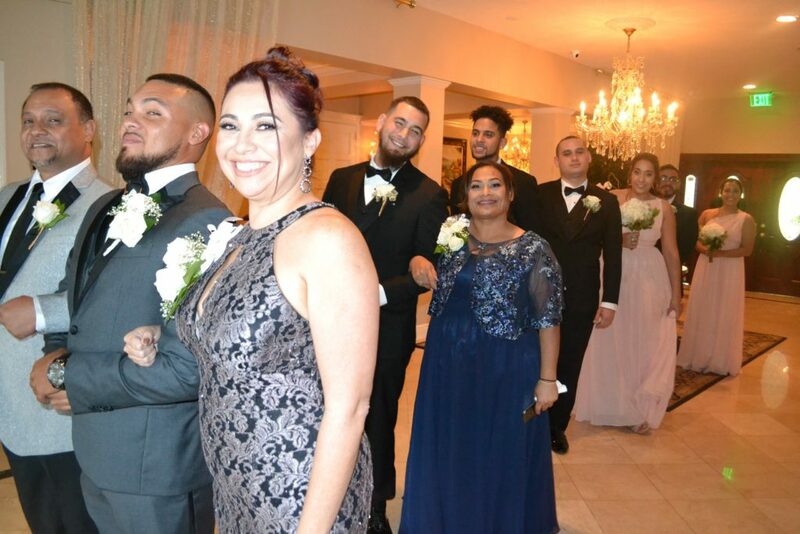 Congratulations to our love birds Daniela and Julio for tying the knot at the Grand Salon Gazebo in this romantic March wedding. 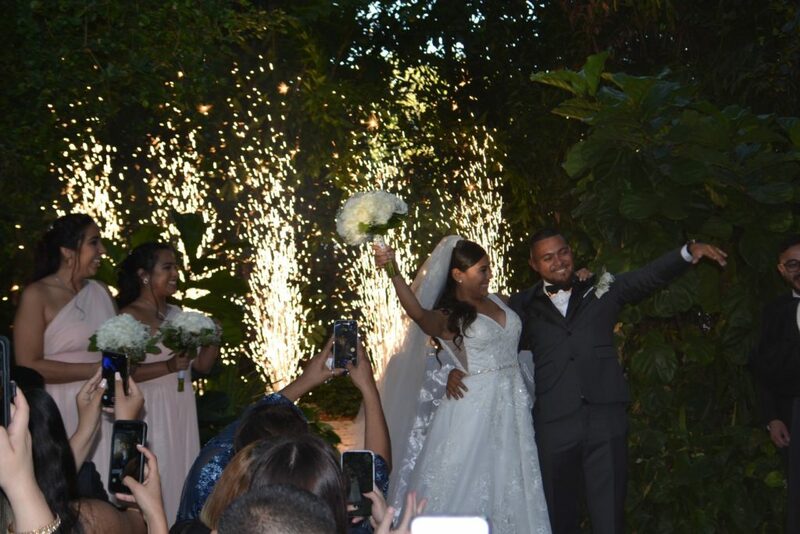 This beautiful couple enjoyed their special day with family and friends, beginning the ceremony outside at the Grand Salon Gazebo and ending the night with a stunning reception in the Ciudamar Room. 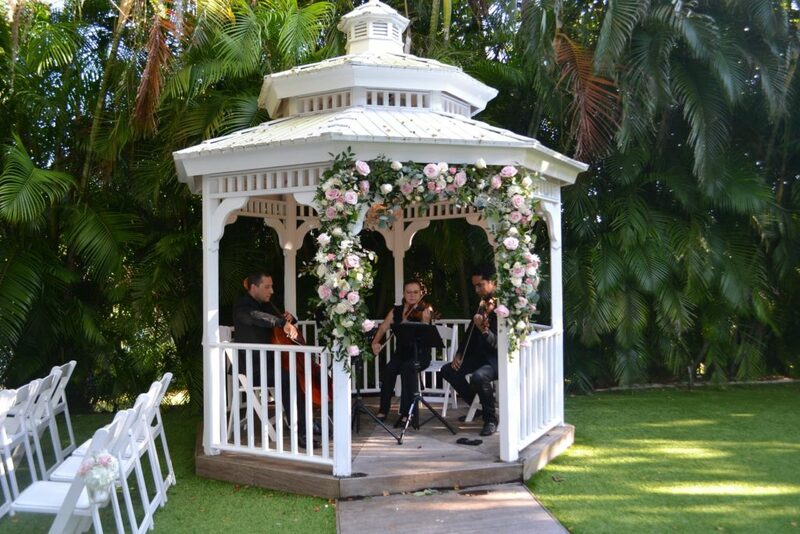 Celebrating the entrance of the bride with a violinist and sealing their first kiss as a married couple with fireworks added such an elegant touch. 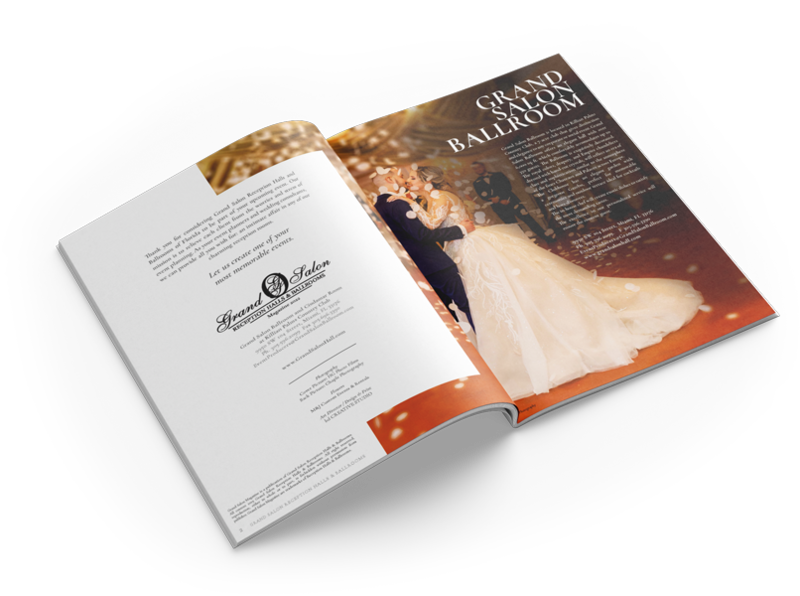 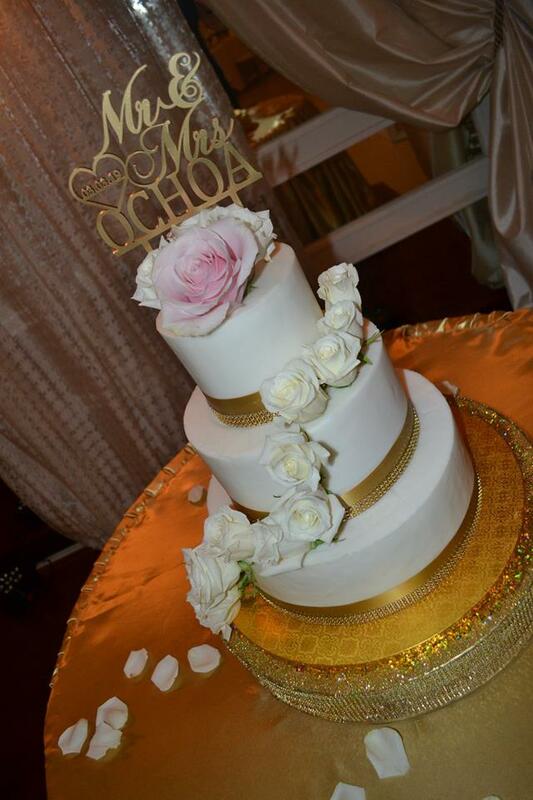 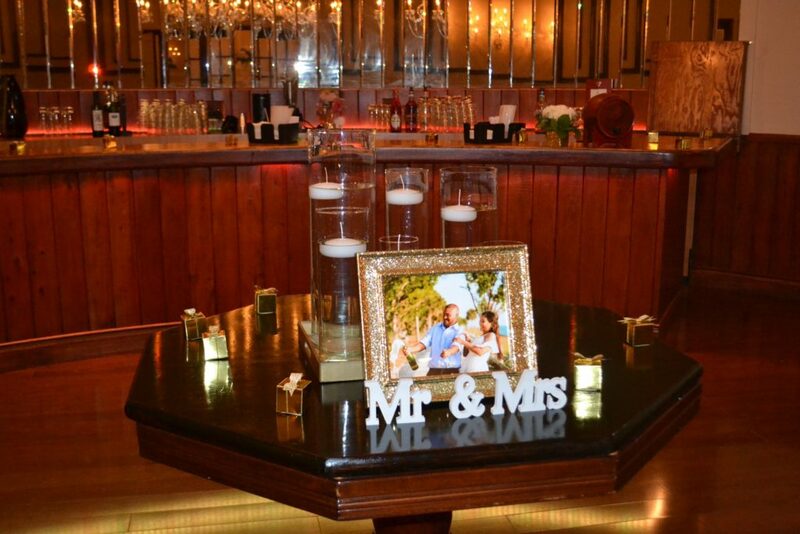 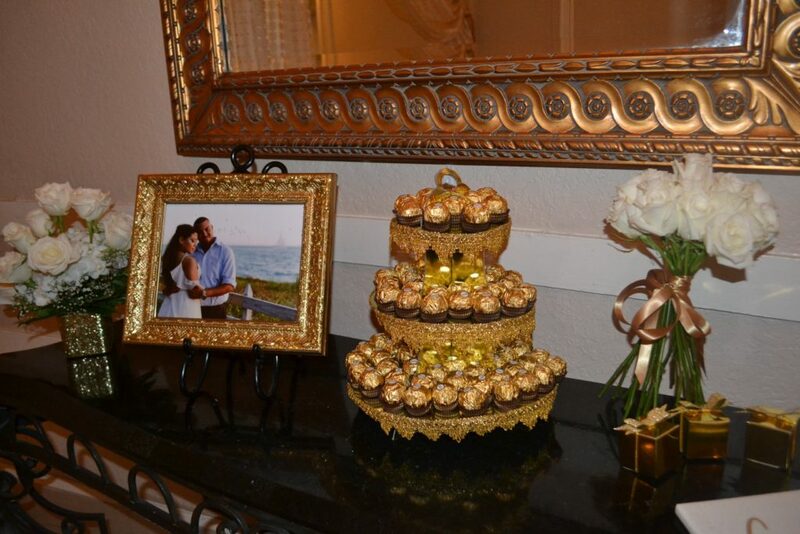 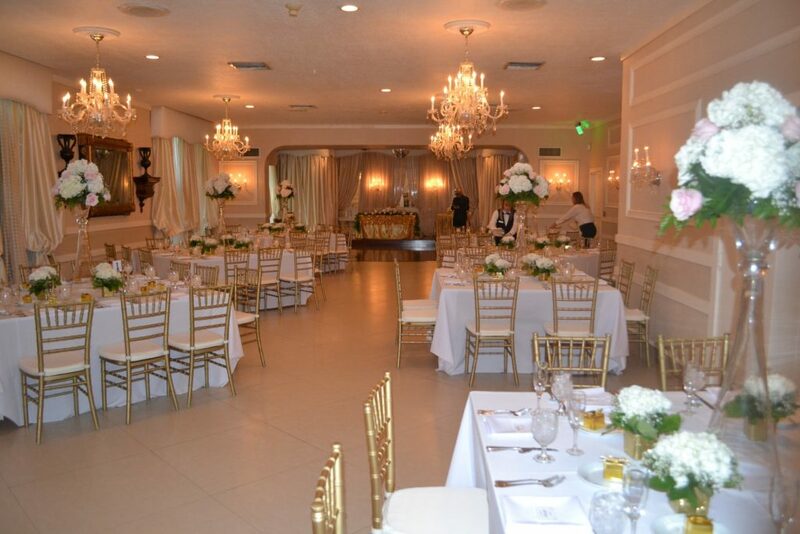 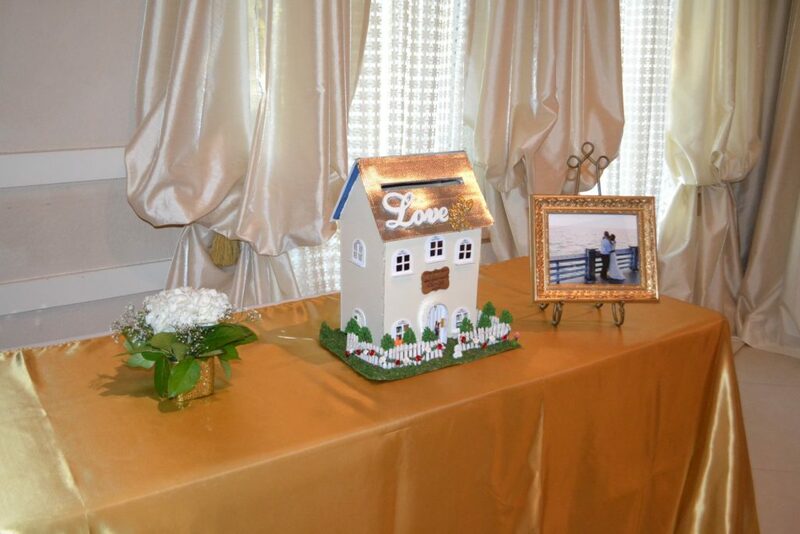 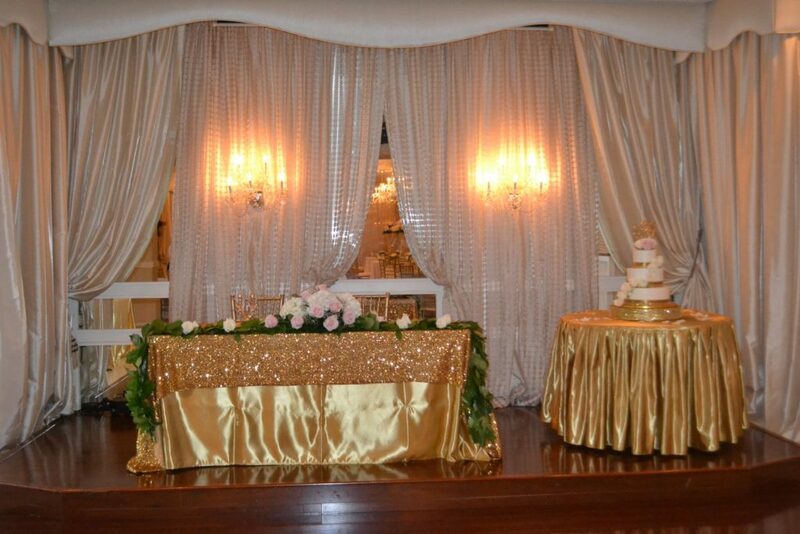 Simple white and gold tones made the reception to follow stand out as well. 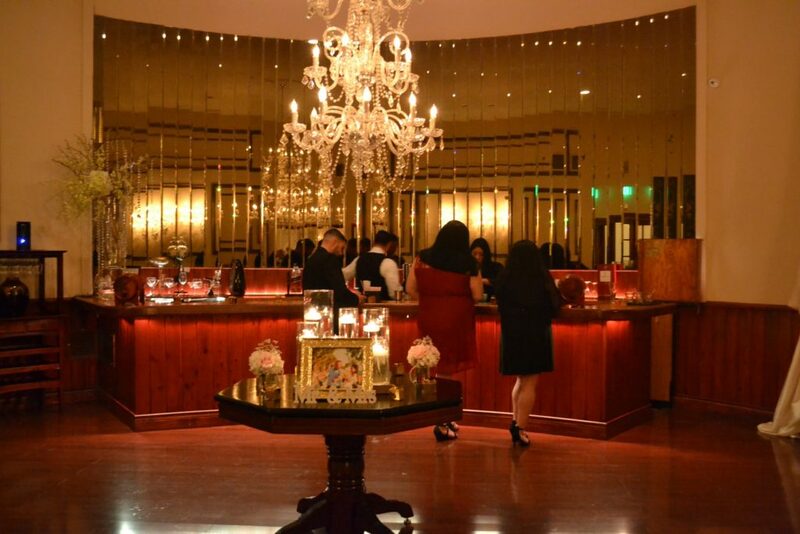 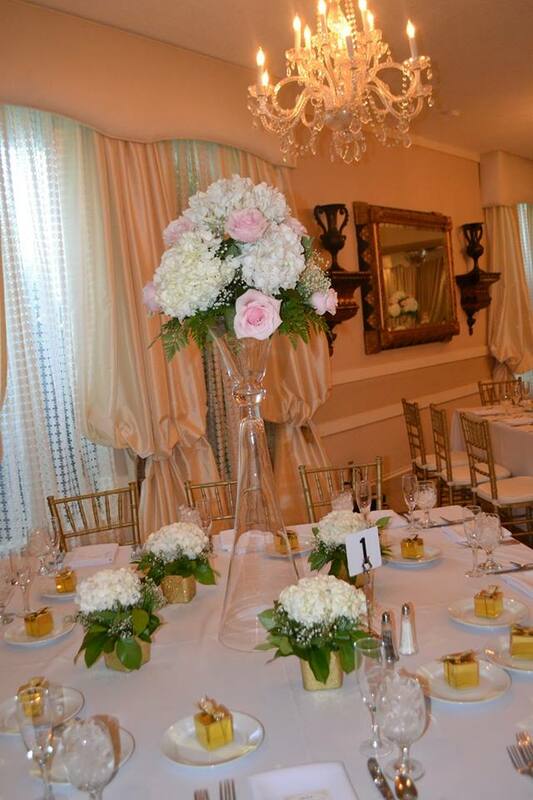 Centerpieces in the Ciudamar Room were from Glamour. 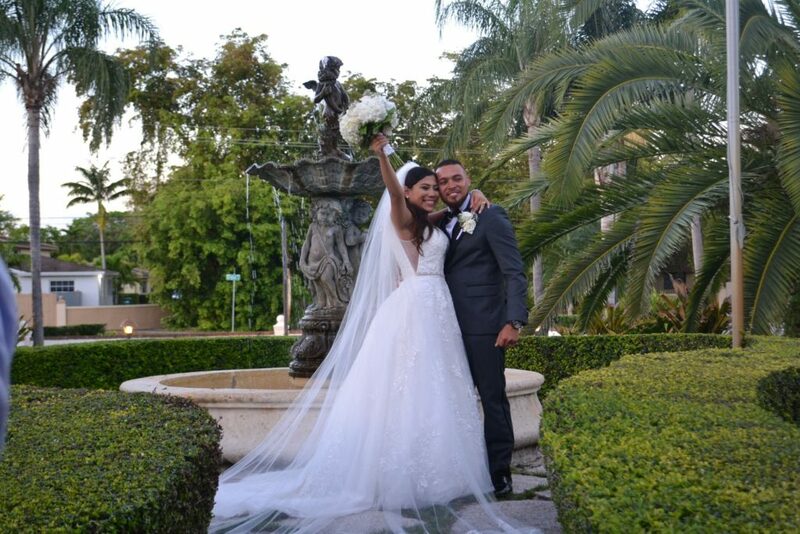 Love is in the air for Daniela and Julio! 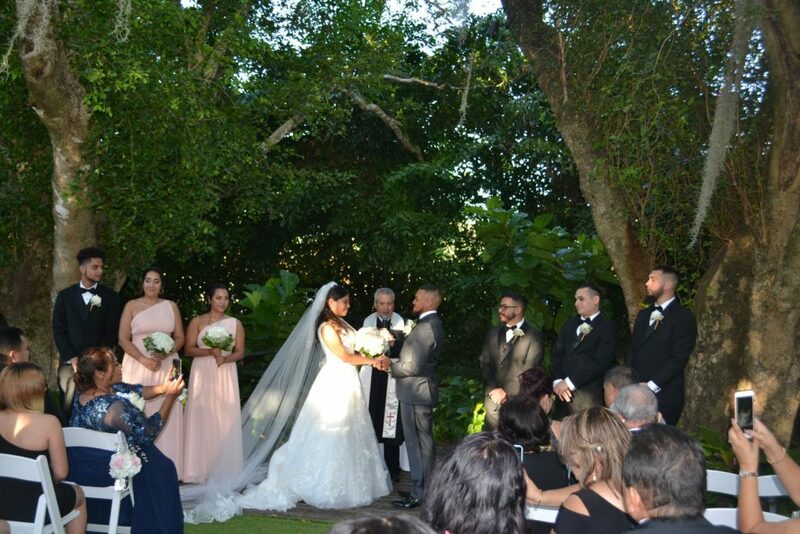 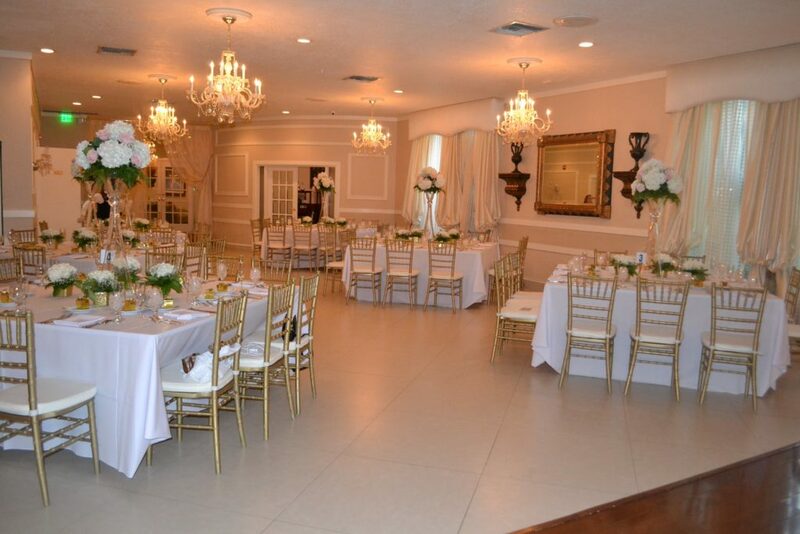 Please contact one of our experienced event coordinators to get more information on pricing and packages for a Gazebo Ceremony with a Ciudamar reception to follow.